With great functionality the Upper stepladder is a successful marriage of form and function. 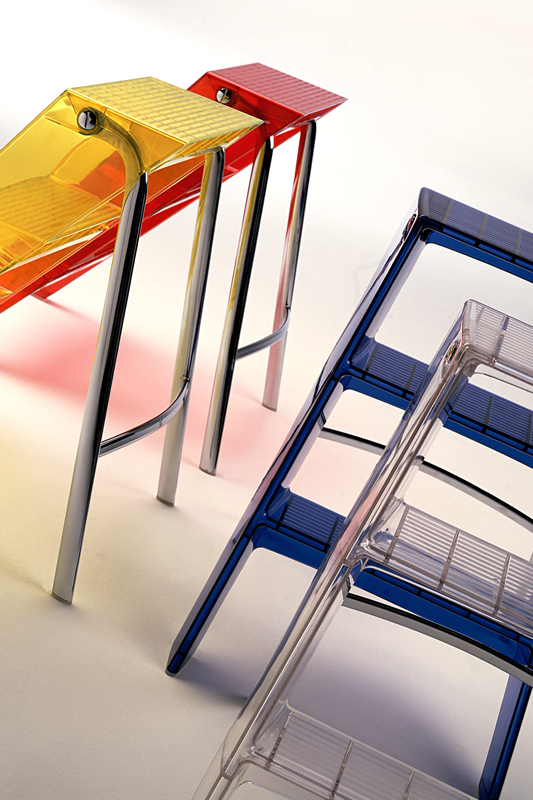 Its pragmatism is made possible by the technology employed by Kartell and has permitted the shaping of polycarbonate, giving it the durability, strength and toughness which a stepladder requires. 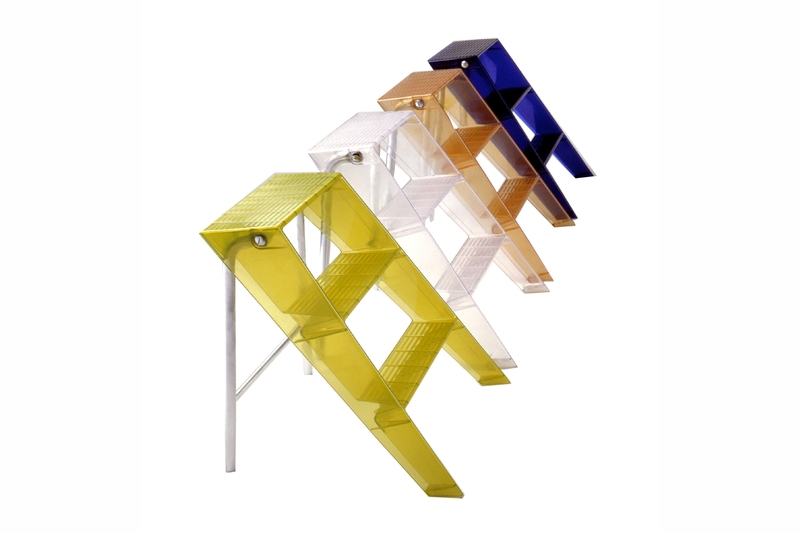 The metal structure is solid and welded to a polished and crystalline body in transparent polycarbonate. The slip-resistant steps are practical and safe. An item which, aside from being multi-functional, is also practical and can even be used for decoration.